Meet the members of the EUROPEA Editorial Group! Have you ever wondered who delivers the EUROPEA news, writes or publishes the EUROPEA articles ?? 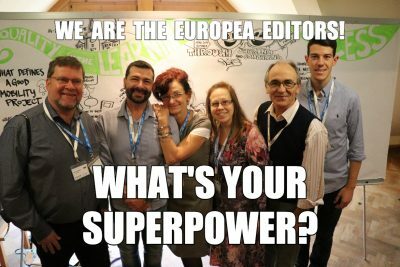 Now you have the chance to see the faces behind the posts and meet the EUROPEA editors ! Just watch this short video and get to know the dream team of our diligent editors 🙂 !